Nancy Wagaman is a personal-growth innovator whose techniques enable people to tap into deep levels of self for inner transformation and life improvement. Focused on the intersection of science and consciousness, her work springs from her years in R&D, applied intuition, and advanced degrees in applied psychology and communications. Physical Size: 6 x 0.75 x 9 in. Physical Size: 6 x 0.9 x 9 in. Find out what you’re missing every night from your dreams: Answers to questions, missed opportunities, self-knowledge, self-sabotaging patterns, creative ideas, hidden strengths, wisdom, and direction. 2. One dream can change your life. Don’t miss it because you’re not paying attention or can’t interpret it. 3. Can’t remember your dreams? Even if you never remember dreams, you can improve dream recall. 4. What does your dream mean? Your intuition is your inner “dream translator.” Learn how to use it. 5. You understand your dream: now what? Find out how to use your dream to improve yourself and your life. Discover what makes you tick—hidden patterns, strengths, fears. Dreams reveal self-defeating judgments, beliefs, and patterns. 8. What you need to know before you sleep. The four steps of dream interpretation, how to translate dream symbolism, how to use dream meaning to your benefit, and more. Your dreams tell you about you, including how to be happier. 10. Are your dreams predicting the future? Find out about Prediction Dreams and other types of dreams. Steps to prevent them, and techniques to help recover after them. 12. Time-traveling in your dreams. How you visit your past, present, and (imagined) future at night. 13. (Seasonal) New Year’s Resolution Help. Discover surprising self-improvement help in your nightly dreams. 14. Dream myths debunked—for free. Sign up at TheCuriousDreamer.com and get a free download that debunks dream myths about death, luck, love, and more. What makes this dream book different from others? I never remember my dreams. Why buy this book? 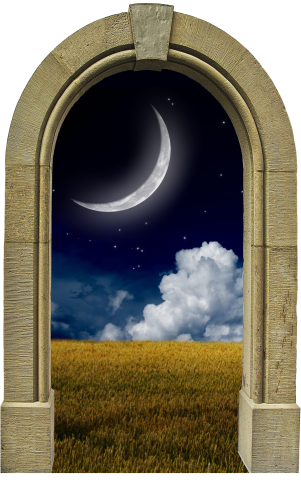 What is the point of dream interpretation? Why can’t I just use any dream dictionary? How do I know which dream meaning is correct? What are my dreams saying about me? How can I use my dreams to improve myself and my life? How can dreams reduce stress in my daily life? How can my dreams help me let go of the past? What does it mean if I keep dreaming about a person? How can I use my dreams to solve problems in my life? How might my dreams tell me I’m off-track in my life? How can dreams reveal my self-defeating patterns? I want to improve my self-esteem. How can dreams help? How do my dreams point out my strengths and gifts? How can I avoid nightmares, or recover from them? I have trouble falling asleep. What might help? I feel really emotional during dreams. What’s up with that? Will you analyze my dream for me?